Due to the hidden costs of a hospital pager system – costs estimated to be an average of $179,000 per year for larger hospitals – a number of healthcare organizations are looking at replacing pagers used for doctors with secure messaging. The hidden costs were revealed in research conducted by HIMSS Analytics following a study of communication channels in 200 hundred hospitals that had 100 beds or more. Researchers calculated that large medical facilities are spending an average of $179,000 each year to support paging systems, with more than four-out-of-five doctors using pagers to receive patient alerts and other health-related communications. HIMSS Analytics also spoke with senior executives who have a direct role in the selection, purchase or management of pagers in their healthcare organizations. This gave researchers an insight into why healthcare organizations persevere with pager systems, rather than replacing pagers used for doctors – the most common reason being “perceived reliability”. Replacing pagers used for doctors is not just a cost consideration. Pagers are notoriously inefficient communication channels. When a doctor needs to be contacted, he or she receives a message with very limited information. 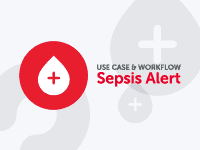 The doctor often has to call the sender of the message to establish why they have been paged and the priority that the message should be given in relation to the rest of their workflow. The constant calling back is time-consuming and, if the sender of the message is not currently available, this can lead to the two parties playing phone tag. Paged messages – and the subsequent phone tag – can result in errors being introduced into the conversation and, with limited record-keeping of paged messages, there is also a lack of message accountability. The accelerated discharges would save medical facilities an average of $550,000 per year in manpower costs alone. Secure messaging works by a private communications network being created for a healthcare organization. Authorized users gain access to the network via secure messaging apps that can be downloaded onto a desktop computer or mobile device. Using the HIPAA-compliant messaging apps, doctors can receive messages and send replies, or access documents and share images, with all the speed and convenience of mobile technology – but with no risk to the integrity of PHI. To further ensure the integrity of PHI, all activity on the network is monitored. Access reports and audits are automatically produced to assist administrators with the preparation of risk assessments, while safeguards prevent PHI being accidently or maliciously transmitted outside of the network. Message recall and PIN-lock features also prevent unauthorized access to PHI if a user´s mobile device is lost or stolen. In 2012, the Manhattan Research/Physician Channel Adoption Study found that 87% of doctors used a smartphone or tablet in their workplace. As the secure messaging apps work across all devices and operating systems, replacing pagers used for doctors with secure messaging would not cause any disruption, and it would also eliminate the risk of doctors communicating PHI through unsecure channels of communication such as email and SMS. Secure messaging has many advantages over pager systems in terms of increasing productivity. Delivery notifications and read receipts help to eliminate phone tag and increase message accountability. TigerConnect’s group messaging facility fosters collaboration between medical professionals to assist with the diagnosis and treatment of patients, and to coordinate hospital admissions and patient discharges. 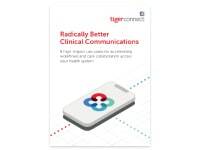 To date, TigerConnect’s secure messaging solution has been implemented in more than 5,000 healthcare facilities with remarkable outcomes. Primarily chosen as a solution to deal with the requirements of HIPAA, replacing pagers used for doctors with TigerConnect has allowed all medical professionals to streamline workflows, increase productivity and dedicate more time to patient healthcare. By replacing pagers used for doctors with TigerConnect, the Waterbury Hospital reduced consult turnaround times by an average of 21 hours, saving the hospital more than $2,200 per patient. TigerConnect also facilitated a new patient admission workflow at the Kadlec Regional Care Center, enabling doctors to quickly delay admissions for non-urgent patients when the hospital was at capacity. The implementation of TigerConnect at the Memorial Hospital of Gulfport enabled the hospital to retire its existing pager system and significantly accelerate the communication cycle. The three case studies above are of particular significance in relation to eliminating errors in healthcare. All three medical facilities integrated TigerConnect with their EMRs – a process which was shown by the Tepper School of Business at the Carnegie Mellon University in 2015 to reduce medication errors by 30% and reduce patient safety incidents by 27%. The HIMSS Analytics report mentioned at the top of this article calculated that the average cost of maintaining a pager service was $8.40 per pager, per month. 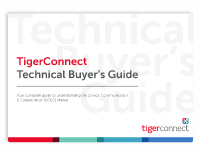 In a like-for-like analysis of replacing pagers used for doctors with TigerConnect, and using data from medical facilities that have already implemented our secure messaging solution, we calculated that the average cost of TigerConnect is less than $5.00 per user, per month. Furthermore, as TigerConnect operates through a “Software-as-a-Service” cloud-based platform, there are no set-up costs. Healthcare organizations do not need to invest in expensive hardware or additional servers and there is no complicated software to install. Doctors and other medical professionals will require minimal training on the use of the secure messaging apps due to their familiar text-like interface. If you would like to find out more about the productivity-increasing and cost-effective benefits of replacing pagers used for doctors, you are invited to contact us and request a free demo of TigerConnect in action. 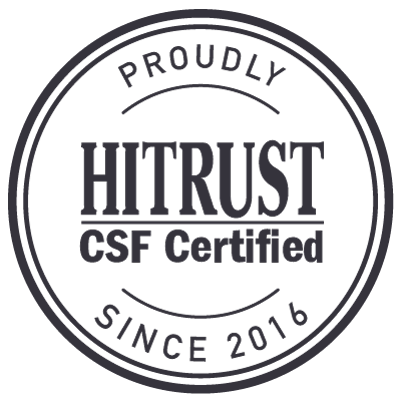 Our team will be happy to answer any questions you may have regarding a secure messaging solution and how it can increase productivity in your healthcare organization while saving the organization money at the same time. Hospitals are paying 45% more to support paging services then they would spend on secure messaging. Learn more. TigerConnect provides secure, real-time mobile messaging for the enterprise, empowering organizations to work more securely. TigerConnect’s encrypted messaging platform keeps communications safe, improves workflows, and complies with industry regulations.